Pipe cleaning is commonly performed by a technique known as hydro-jetting. 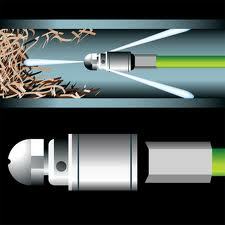 Hydro-jetting is the application of streams of high pressure water for use within pipes for cleaning & debris removal. Water at the correct high pressure can cut roots, dissolve blockages, emulsify grease and soaps while spray washing pipe wall surfaces. As part of the hydro-jetting process, the water from the nozzle can also wash away accumulated dirt or debris on the bottom of the pipe at the same time. Hydro-jetting in Scottsdale is the process of using water under high pressure to scour the pipe walls clean of grease, debris, roots, sand or dirt and flush it all out and away downstream. Hydro-jetting is unique in that it is the only process that can actually clean your lines. Because of this, hydro-jetting has become the industry standard for sewer and drain cleaning. Take note that if your problem is grease related, Hydro-jetting is the only way to win that battle.a standard rotary drain cleaning machine will not clean grease from any type of pipe. Hydro-Jetting Sanitary or Mainline Sewers: located under streets and roads that connect building laterals to a municipal waste water treatment plant for treatment. Waste water flows freely through sewers via gravity. Sewers are connected at various intervals by manholes (maintenance access point) that in some applications will allow for a change of direction of waste water flow. Municipal sewers can range in size from pipes as small as 6 inches, increasing in diameter as more & more laterals connect to the system. Sewer blockages can form as a result of root infiltration, food grease buildup, soap residue buildup, dirt and debris accumulation. Blockages can also occur from pipe failure or collapse that will require excavation to correct. Private sanitary waste water collection systems of similar construction can be found on privately owned property connecting buildings in apartment and office complexes, universities or other large campus-type facilities that ultimately discharge into a municipal waste water systems. Hydro-Jetting Laterals – Pipes that connect building drainage systems to municipal sewers, considered to be part of the property and the responsibility of the property owner. Typically, laterals are 4″ & 6″ diameter pipes that connect directly to municipal sewer pipelines, but can be larger for commercial or industrial buildings. Lateral blockages can form as a result of root infiltration, food grease buildup, soap residue buildup, dirt and debris accumulation. Blockages can also occur from pipe failure or collapse that will require excavation to correct. Hydro-Jetting Drains – Drainage pipes are located under or within buildings, considered the be part of the property and the responsibility of the property owner. Drains in buildings can range in sizes from 2″ to 6″ diameters (typically) that normally contain “Tees” or “Elbows” for waste water directional changes. 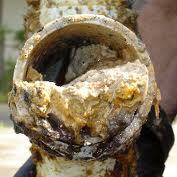 Drain blockages can form as a result of food grease buildup, soap residue buildup, dirt and debris accumulation. Hydro-Jetting Storm Drains – pipes that are limited to the collections and control of rainwater. Rainwater can be collected and directly diverted to streams or rivers without passing through a water treatment plant. 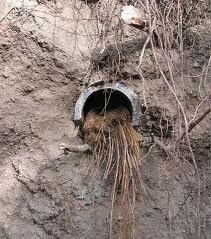 Storm drain blockages can form as a result of root infiltration, silt, dirt and debris accumulation. 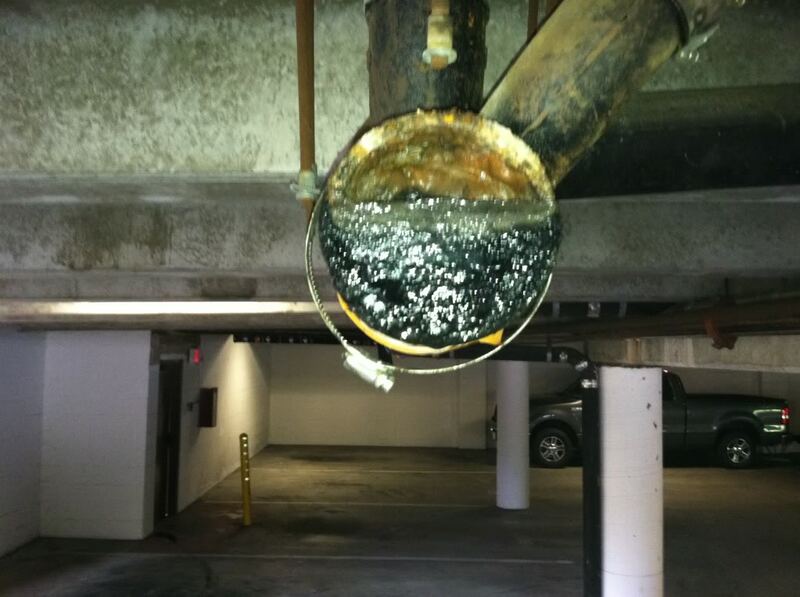 Blockages can also occur from pipe failure or collapse that will require excavation to correct. Hydro-Jetting Process Pipe & Conduits – Pipes of all diameters & lengths used in manufacturing plants, chemical plants & food processing facilities that transports liquids other that sanitary waste water or rainwater. Blockages in process pipelines can be caused by many factors related to the process, each individual application occurrence will have unique factors to be dealt with on a case by case basis. Hard scale mineral buildups found inside of pipes will reduce overall pipe flow capacity. High pressure water at the correct pressure can remove any scale buildup no matter how irregular without damage to the original pipe. All of the above types of pipe systems are susceptible to blockages and thus inconvenient backups or potential economic loss. Blockages can occur from the buildup of debris over a period of time, ingress of root infiltration or from foreign debris introduced into the pipeline (accidentally or maliciously). No matter what type of debris that is the cause of a blockage; high pressure jetting is the preferred method of re-establishing water flow. 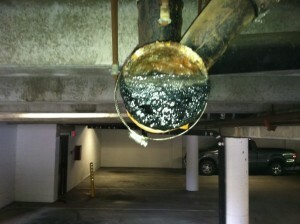 High pressure jetting not only removes a blockage but washes away all debris found within a pipe. Using high pressure water is faster and less physically labor intensive than use of a mechanical rodding or cable machine. Hydro-jetting units maintain constant working pressure and cleaning power at the nozzle end. Over the past 70 years sewer & drain lines have been installed with little or no attention paid to routine pipeline maintenance. The “bury and forget” or “out of sight, out of mind” attitudes toward sewer lines has now led to a growing maintenance and rehabilitation industry. With increased collection system integrity & environmental concerns, inspection of waste water collection systems has become a major market application for hydro-jetting units. Hydro-Jetting of sewer and drain pipelines with high pressure water prior to televised inspection(CCTV) surveys for determination of pipeline structural integrity is now a recognized standard operating procedure. Hydro-jetting and CCTV inspection of laterals and pipes under buildings for structural defects is also growing in demand, especially at the time of property transfers. 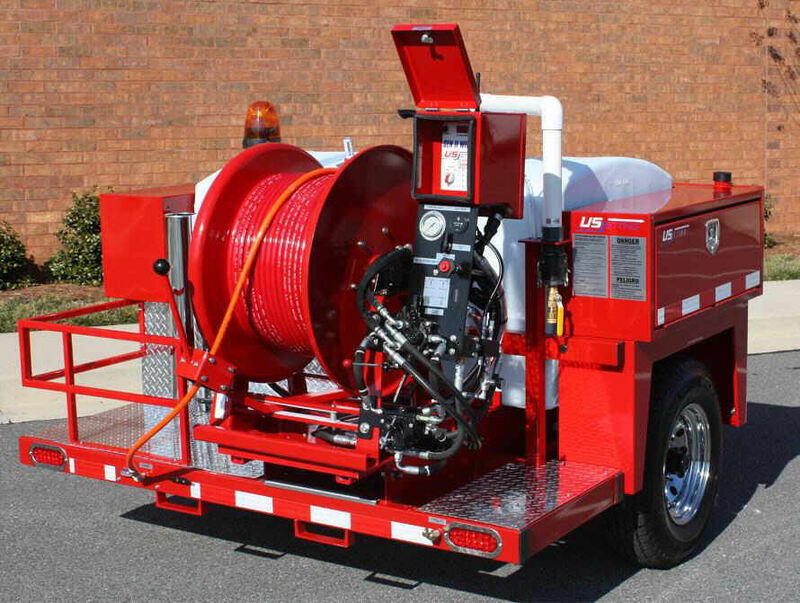 We operate full size, $45,000.00 trailer mounted US Jetting machines carrying a standard of 500 feet of 1/2 inch hose. These machines deliver a maximum 4000 psi at 18 gallons per minute. The pressure is completely adjustable for any given situation. We maintain a variety of hoses that allow us to hydro-jet anything from a 10″ main sewer line all the way down to a small 2″ trap in a floor drain. We also use Warthog brand rotary nozzles when possible because they are so much more efficient at cleaning even though they are ten times the cost of a non-rotary nozzle. We have thousands of hours of specific Hydro-Jetting experience and it is truly amazing what a full size hydro-jetting unit with a rotary head will cut through and flush out. Call for a FREE estimate on Hydro-Jetting your sewer or drain lines in Scottsdale.